Looking for accommodation for your fishing excursion on the Cumberland River? You can save yourself some money by using Booking.com coupon codes. Burkesville in Kentucky is one of the best places to stay in Kentucky for fishing, please note that it is a dry county. The Cumberland River boasts some excellent fishing of Bass and Trout, and you can also find walleye and sauger. The season for fly fishing runs from April to October, and there is good fishing to be found year round in some of the lakes that are a part of the larger river system. Don’t forget to obtain a proper fishing license for either Kentucky or Tennessee, depending on which part of the river you will be fishing in. Trout are widley considered by sports fisherman to be some of the wiliest and most difficult to catch fish. You can find both Rainbow and Brown Trout in the Cumberland River, but the Brown Trout are typically bigger. If you are interested in catching some big trout then the area of the river just below Lake Cumberland in Kentucky is your best bet, it’s some of the top trout fishing to be found in the southeastern United States. The state record for a Brown Trout is 21 pounds and for a Rainbow Trout it is 14 pounds and 6 ounces. Lake Cumberland is formed by the Wolf Creek Dam, the cold water that it churns out makes an excellent breeding ground for both species of trout, however when it is running at full capacity to generate electricity it also generates a powerful current that can be dangerous. The best baits to use are as follows. The Cumberland River has produced some of the biggest Stripers known to man. Typically the better Striper fishing is found in the Tennessee section of the river, though you can find some downstream from the dam in Kentucky, closer to the state border. The Tennessee state record for a stiper is 65 pounds and 6 ounces, that’s a big fish! 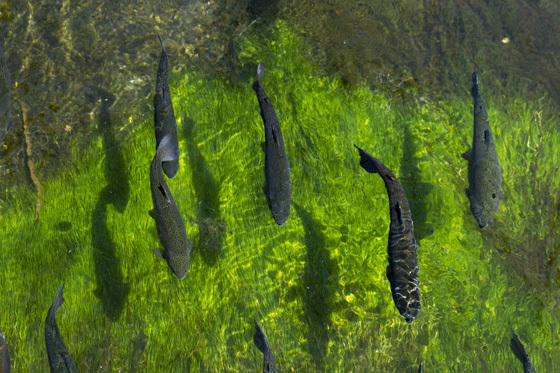 The river in this area provides an extraordinarily fertile breeding ground for the fish, which is why they get so big. Make sure to bring heavy rods and heavy line, stripers over 40 pounds will not be possible to catch with conventional tackle. At that point your are no longer dealing with a fish, but a wild animal that will take time and patience to reel in. Striper season runs from fall through to mid-March. While Cumberland River is world famous for its fishing, there are tons of activities for everyone that does not necessarily include fishing. Example A for this year, when the annual Cumberland River free fishing day catfish rodeo was cancelled because of a lack of catfish. In its place came Waterfest: a free event for kids and pets put on by the Cumberland River Compact. It attracted hundreds of families to the event and made for a great event for everyone. The Cumberland River Compact put on the Waterfest to help raise support for improving water quality in the Cumberland basin. That, and a promotional coupon offered by Hotels.com in the wake of the cancellation led to a spike in attendance from overheated tourists and locals alike. If you were flying in from out of state you could also redeem a budget car rental promo code that was set up especially for the event. Organizers say that they were heartened by the attendance this year, and that they hope to put on Waterfest every year, not just on catfish cancellation years. Are you a foodie? Do you love to enjoy different types of foods? In the Louisville Kentucky, new restaurants are opening on a weak basis. If you are new in this place, then it might be difficult for you to choose the right one as many of them have the same menu with the similar price range. If you are not specific about the taste then you can choose any of them to have your foods. If you are a kind of person who likes to inquire about the types of the foods and culinary skill of the chefs before visiting any restaurant, then you are in the right place. In this article, you will come to know about some of the popular restaurants in Louisville Kentucky. All these restaurants will not only offer you delicious foods, they will offer you a friendly environment and cordial staff as well. In addition, many of them can easily fit into your budget. 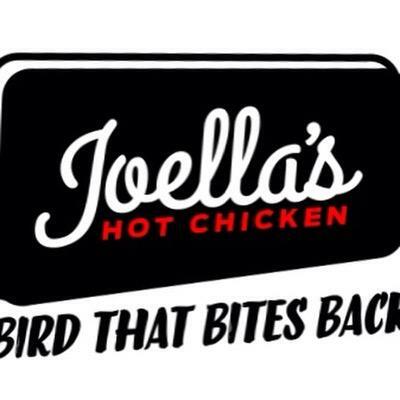 Joella’s is a new restaurant. The main focus of this restaurant is chicken and hot chicken. If you love chicken then this should be the worth considering place for you. The specialty of this restaurant is that it offers different chicken items with different flavors and preparations. You will get a long menu of the chicken items for your lunch and dinner. If you are vegetarian, then you might not like this place and menu. This restaurant remains open six days in a week from Tuesday to Sunday. In Louisville Kentucky, you will find different types of the restaurants. More importantly, you will find a local touch in all the restaurants. Some of the names of the restaurants itself suggest the types of the local foods they have. The Mayan café is one of them. If you like Mayan heritage food like seasonal foods and crafting dishes, then this is the best place for you. You will find different types of the Mayan foods in this restaurant that includes seasonal foods as well. Le Moo is a new restaurant. But when it comes to service and foods, even the old popular restaurants cannot match well with its food preparation. It is one of the most popular restaurants in Kentucky. Yes, it is more appreciated for the non-vegetarian foods. You can also get your vegetarian foods here. People appreciate this restaurant for the house-ground burger, rib-eye, and seasonal foods. It is the best place for the dinner. It remains open from Monday to Friday. If you are in this city, visit this place to have a unique dinner experience. Vietnam Kitchen will not be considered as a big budget restaurant. But you can get the treatment of an expensive restaurant here. Though it is a small restaurant, it offers all the local and seasonal foods. In fact, you will get a bar. All the foods will be affordable. This restaurant has a good reputation of offering both the vegetarian and non-vegetarian foods. You can visit this restaurant for the noodle bowl and for any of your favorite dishes. Have ever been in 21C museum hotel? If yes, then you must have heard about the Proof on Main restaurant. This is the best place to have your food. It not only offers different types of the foods in a friendly environment, it will be just like your dream food as well. You will enjoy your food with the contemporary arts, exhibition, and beautiful environment. When it comes to food, it will be exceptional. Do you love small plates? Would you like to have the foods of different cultures with unique culinary skill? If yes, then this is the worth visiting restaurant for you. It has everything that can satisfy your hunger and can enhance your dining experience. You will get small plates with different flavors that include Indian, Mexico, Middle East, and the Mediterranean. In addition, you will have the bar. It remains open from Tuesday to Saturday. Jack Fry’s is one of the old restaurants in Louisville Kentucky. In this restaurant, you will get some classical touch and the traditional foods. In addition, you will have your food in a friendly environment. You will get southern foods with classical techniques. If you want to experience some of the traditional foods of the Kentucky, then this is the worth visiting restaurant for you. Las Chasse is a new restaurant. Hence, you can expect some more comfort and facilities. Yes, you are right. This restaurant looks nice and offers different types of the foods that can satisfy any visitor. You will get global flavors in their foods, mostly Spanish influence. When it comes to the dining room, it is approachable and can easily get the appreciation of the visitors. It remains open for five days from Tuesday to Saturday. The Table is popular for offering different types of the delicious foods. You will get both the vegetarian and non-vegetarian foods in this restaurant. It is affordable and can easily come into your budget. But while visiting this restaurant, make sure that you have enough cash for the payment. It accepts cash only. If you fail to make the cash payment, then you will be asked to work there to compensate your meal. Hence, be careful and take enough cash before planning to have your food in this restaurant. These are some of the restaurants of Louisville Kentucky. Many of them are affordable and can truly satisfy your food cravings. While visiting Louisville Kentucky, you should not restrict yourself to a particular restaurant. Instead, you should visit many of them to have a unique experience. Are you planning a Kentucky trip? Do you have a very little idea about the hotels in Kentucky? 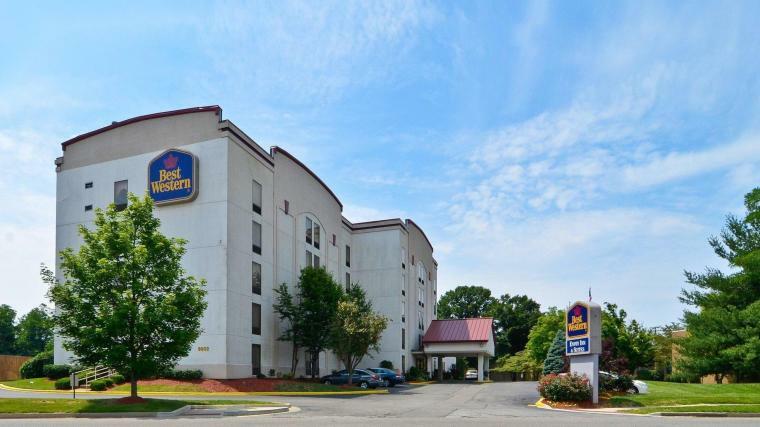 In Kentucky, you will find many comfortable and affordable accommodations that include both historical hotels and modern Inns and suites with all the world class facilities. You can choose any of these accommodations depending on your preferences and budgets. As the options will be many, it will be easier for you to choose the best one within your budget. You can also use car rental discount codes to save money on your trip. Yes, if you are looking for the more comforts and facilities, you might need to spend more. If you are looking for some of the best hotels in Kentucky, then you can consider the followings. All these following hotels have received appreciations from the tourists for the advanced facilities, comforts, and foods. This hotel has different types of rooms that include suites and standard rooms. All the rooms have the free WIFI, standard cable satellite television, and array of amenities. In this hotel, you will get exercise facilities, a swimming pool, meeting facilities, and full business services. In addition, you will get the complimentary breakfast. You can stay in this hotel for the personal and professional reasons as it offers facilities for the both. If you want more comforts and all the advanced facilities, Baymont Inn & Suites will be an ideal option for you. In this hotel, you will get rooms with many amenities such as the WIFI and free continental breakfast. You can relax at the outdoor pool and spend time in the gym. More importantly, this hotel is pet- friendly. If you love your pets and want to include them in your trip, then you can consider this hotel. It will have the facilities for your pet too. Like the previous one, Sleep Inn is also pet-friendly. It is just only one mile away from the Exposition Center of Kentucky. If you have a restricted budget, then you can consider this hotel as it offers all the facilities at an affordable price. In this hotel, you will get the free breakfast, airport transportation, WIFI, newspaper, and the laundry services. You can expect all your comforts at an affordable price in Hawthorn Suites as well. You will get the rooms and suites with many facilities that include free WIFI, complimentary breakfast, free parking, and airport shuttle. In the breakfast, you will get wide options such as the bacon, eggs, muffins, waffles, toast, fresh fruits, bagels, and yogurt. If you spend a little more, you will get an indoor pool area, refrigerator, kitchenettes, and gyms. This hotel is pet-friendly. But if you are a regular smoker then this might not be a good option for you. Marriott East is one of the most preferred hotels that has received AAA four-diamond award. All the rooms of this hotel have a coffee maker, refrigerator, 42-inch flat screen television, and comfortable beds. It is a non-smoking hotel. Some of the facilities offered by this hotel are the free parking for the guests, free WIFI, indoor pool, on-site restaurants with many options of food for the breakfast, lunch, and dinner. Ramada Louisville Downtown North is the best place for both the personal and professional trips. It has all the amenities that include free WIFI and complimentary breakfast. You will also get AEI-Nopal Mexican restaurant onsite. In the rooms, you will get a mini-refrigerator and microwave. Hyatt Regency is popular for the developed amenities. It has spacious suites and rooms. These accommodations are hypo-allergenic that offer ultra- plush pillows and granite baths and Ohio River views. In this hotel, you will get WIFI, brilliant room service, complimentary breakfast, indoor pools, 24-hour fitness center, and outdoor tennis court. Yes, you might need to spend more for all the facilities. If love traditional hotels with the contemporary facilities, this is certainly a worth considering hotel. This hotel is one of the oldest hotels in Kentucky that dates back to 1835. It has 650 suites and 1, 300 guest rooms that come with a variety of price range. You will get five types of the options to choose from. In addition, it has nine restaurants and bars, a rooftop fitness center, a spa and salon, numerous shops, and outdoor pools. You will have everything to enhance your traveling experience. 21C museum hotel is relatively a new one. It has ninety rooms with many facilities. The hotel is considered unique as it has a contemporary museum and award-winning restaurant. If you like art and creativity then this hotel will be ideal for you. The key amenities of this hotel are the free WIFI, flat-screen televisions, luxurious bedding, plush bathrooms, and coffee machines. Besides, you will get a spa and fitness center, excellent room service, and a sustainable onsite restaurant. It is one of the best-looking hotels in Kentucky. You will love the architecture and design of this hotel. The hand –painted coffered ceiling, marble flooring, finely- carved mahogany furnishing say much about this well- planned and well-maintained hotel. It has 293 rooms and suites. All the rooms and suites are spacious. In addition, you will get comfortable beds, free WIFI, 32-inch flat television, and a premier dining restaurant. The Seelbach Hilton hotel has all the comforts that you can expect for a world class hotel. The furniture of this hotel needs special mention. Besides, you will get 37-inch high-definition television, Oakroom restaurant, business center, a 24-hour fitness center, gift shop, WIFI, complimentary airport shuttle, and a spa. These are some of the popular hotels in Kentucky. Many of these hotels are affordable and can easily fit into your budget. You can stay in these hotels both for the personal and professional trips as they have the conference rooms and other facilities for the business meetings. If you are traveling with your pets, then you need to be more specific about your hotels as many of them do not allow the pets. You will have to choose the hotels that are pet-friendly and offer some facilities for your pet tool. You need to do a proper research to make your journey easy, hassle-free, and fun. Kentucky is a state that has something more than just exciting horse races and bourbon. If you look closely, you’ll be able to see unique attractions on Bluegrass State. There’s an abundance of things to do and sights to see, whether you’re traveling alone, with friends, or on a romantic vacation. When in Rome, why not do as the Romans do? In Kentucky, the first stop is usually the Kentucky Bourbon Trail. It’s quite the sight for those living in the city- soft, lush rolling hills, with an opportunity to see the Kentucky Derby Hall of Fame when you chance upon the Kentucky Horse Park. Walk down the hallowed grounds of the Churchill Downs tracks, or get right into the action with a trip down to Keeneland. It’s a fitting name for the mother of all natural caves. The Mammoth Cave is a sprawling, giant National Park encompassing all 53,000 acres of park land right at the borders of Cave City. The longest cave system of the world is sheer grandeur. You get to see more than 400 mapped trails and more than 4,000 known passages. The Mammoth Cave also holds the distinction of being one of the oldest North American tourist sites. Visitors have been in awe of the subterranean depths for two hundred years! 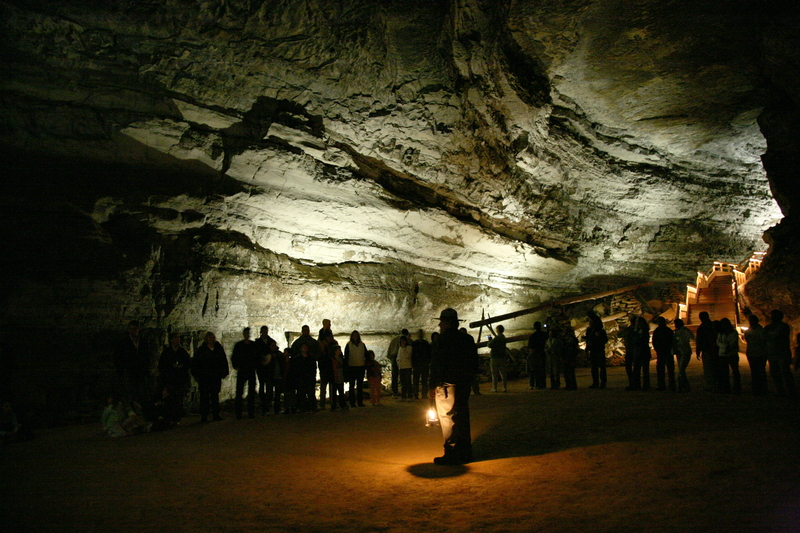 Nowadays, Mammoth Cave is enjoying half a million visitors per year and given the title of International Biosphere Reserve and World Heritage Site. Nature enthusiasts will have a field day when arriving on the Mammoth Cave. You can literally walk anywhere for miles, or opt for a more convenient experience via horseback or mountain bike. You can choose from the levels of trail difficulty available, which vary in length and trail type. Campers will also find something here- there’s backcountry camping for the adventurous individuals, and 3 nature campsites to choose from. If you’re the type that can’t live without modern conveniences, then head on over to the Mammoth Cave Hotel for a more luxurious stay. Hark back to prehistoric periods, to the time when dinosaurs roamed the planet. The Dinosaur World Kentucky is an excellent facility that can accommodate large groups and tourists of all sizes. You’ll be taken to a magical time travel to see the dinosaurs in their most natural environment. Step inside the Dinosaur World Kentucky and view the 150 life-sized reptiles “living” within the vicinity. There are outdoor signs that provide helpful information as you move along the exhibits. There’s also a playground for the kids, a movie cave, a mammoth garden, a boneyard, fossil digging activities and a formal museum. The playground is a veritable paradise for the young ones, which include swings, feature slides and dino-themed fun. Dogs are welcome to stay! Did you know that President Abraham Lincoln was born in Kentucky? Now you know; the next logical thing to do is visit his birthplace and soak in a few facts and history. The small cabin on which the great president lived in may surprise you, because it’s much more smaller as what we might be accustomed to. The visitor center shows an introductory video presentation. See how the family drew their daily water in the nearby spring. Abe Lincoln’s childhood home is located at Knob Creek. At the side, you can also take a quick detour and visit the nearby national park for a taste of the Ranger Program or eat at a cozy picnic area. It’s a museum and a factory. Looking for a truly unique, family-friendly activity in the state of Kentucky? 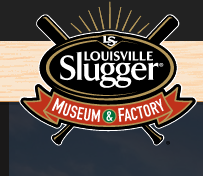 Then you have to go to the Louisville Slugger Museum. The place is also a factory that churns out baseball bats on a daily basis. Guests can tour the facility and see how these baseball bats are made. After the tour, you can take home a miniaturized version of an authentic Kentucky bat! There’s more to see. Make sure to visit the area where you can see all the memorabilia on display of Joe DiMaggio and his 56-hit streak game. Watch a short film titled “Heart of the Game”, and marvel at the realistic sculptures of baseball greats such as Derek Jeter, Ted Williams and Babe Ruth. Children and those young at heart can scale the giant Glove Sculpture. If you have the time, then you might as well bask in the glory in a game at the Louisville Slugger Field. Is there such a thing as a Niagara of the South? You bet. Cumberland Falls, which is located right at the heart of Cumberland Falls State Park, is a giant of a waterfall. The natural wonder is over 125 feet in width and 68 feet in length. See it with a full moonlight and you can see a rare occurrence called a “moonbow“. There’s quite a number of things you can do at the Cumberland Falls. Take your pick on the 17-mile trail, a swim at the refreshing pool, or dine outdoors on the many playgrounds and picnic areas scattered around the national park. Fish, ride on a horse or play a round of tennis in the many facilities. A rafting trip is available for the nature warriors. Federal Hill Mansion, aka My Old Kentucky Home should be in every itinerary for people who are going to Kentucky. How did this monument acquire its curious name? It was the infamous ballad of Stephen Foster, which became Kentucky’s state song. The mansion was originally the abode of Stephen Foster’s uncle. After your tour of the Federal Hill, you can explore other activities that My Old Kentucky Home State Park has to offer. Camping, bird-watching, playing tennis or shopping for local crafts are just some of the things you can do here. Don’t forget to drop by the Western Theater to see the Civil War Museum. Splurge a bit and go on a scenic ride on the Kentucky Dinner Train while enjoying delicious Kentucky fare. A great relaxing way to view the river is to go on a boat cruise. There are a few different tour operators offering a variety of experiences with departure points in both Tennessee and Kentucky. 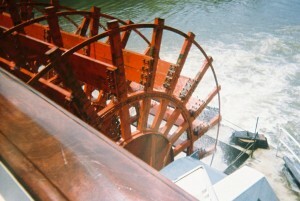 Leaving from Nashville, this is an old-style paddle boat that you think of when you picture rivers in the deep south. Most paddle boats these days are floating casinos, but the General Jackson is one of the few non-gaming paddle boats in the world. Tuesdays, Fridays, and Saturday they have two shows, one midday and one in the evening, and the rest of the week they just do an evening cruise, except for Sundays when they do a Brunch Jubilee. Sometimes there can be changes in the schedule due to private events or holidays, so please check their calendar before going. You are treated to a meal (please note that alcoholic beverages are not included in the ticket price) and a live country music show, on the Sunday brunch cruise the show changes to gospel music. The cruises are 3 hours long and the show starts after the meal has been served. There is also plenty of deck space and a bar up top for you to enjoy the river scenery. It gets mixed reviews on Trip Advisor, most people agree that the show is excellent and the food is just okay, so if you are not really interested in country music and are just looking to go out for dinner there are plenty of restaurants in downtown Nashville that would probably suit you better. This pontoon boat tour is based out of Lebanon, TN which is less than an hour from Nashville by car. You’ll be touring the Cumberland River and Old Hickory Lake with your guide Captain Jesse who has quite the sense of humour and a great knowledge of the area. You can choose to focus on the nature and history of the area during your cruise, or he can show you the homes of celebrities who call or called the area home. Captain Jesse’s prices are quite reasonable, no meals are included but water and soft drinks will be available. There is also a bathroom on board the boat. As Captain Jesse says, travel by boat is much safer than going by cars, which always sink when you take them out on the water! The tour is described as relaxing and fun and is very well reviewed. Similar to the above Cumberland River Cruise, this tour leaves from Ashland, TN approximately 30 minutes from downtown Nashville. Also a pontoon boat (equipped with restroom) you can enjoy an informative 3 hour tour of the river. You are welcome to bring a cooler of your own food and drink provided that it can fit under the seats (aisles must be kept clear for safety), and bottled water is provided free of charge. It’s a great activity for people of all ages and a really fun way to enjoy a day on the river with your family or travelling group! This tour leaves from near Corbin, Kentucky, in the Daniel Boone National Forest, meeting up at the Laurel Boat Ramp which is located where the Laurel River meets the Cumberland River. They offer lunch cruises which serve a buffet style lunch, you can sit up top on the sun deck or in the shaded area down below. The cruise heads uprive, and picks up rafters from one of the tour grops other excursions. There is no charge for children 5 and under, and there is 10% discount for adults aged 65 and up on weekdays. The boat is also available for breakfast, lunch and dinner chartered cruises. The biggest city that you will find along the banks of the Cumberland River is Nashville, TN. Famous for it’s country music scene, it has been voted one of the top riverside cities in America. 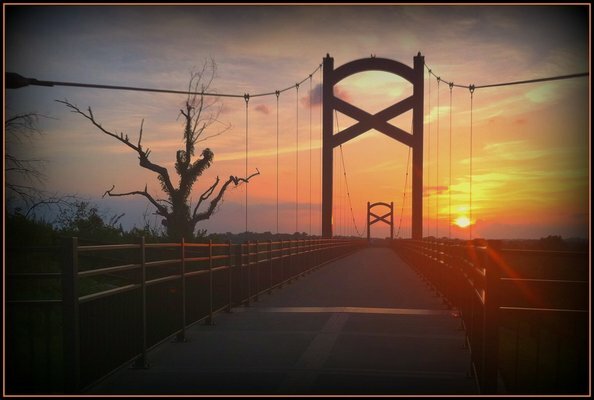 There is always a lot to see and do in Nashville, but here are some activities and places to see specific to the Cumberland River. This is a park, but also a venue for concerts. During the Country Music Awards week and on Thursdays during the summertime you can catch some great shows right along the river banks. It’s also a great place to have parties and games, or pick up some food from a local restaurant have a picnic on the banks. The Riverfront Park also has an ice skating rink and a popular carousel. It’s very close to the busy downtown area and all of it’s attractions and shopping. There is a new park area being planned that would be 10 times the size of the existing park and include boardwalks, overlooks, fountains, spraygrounds, wetlands, piers, performance spaces, increased bikeways, plazas, new docking facilities, and open play space. Visible from the Briley Parkway, this is the other pedestrian bridge that goes over the Cumberland River (the other one being near the downtown area). It can be a little bit tough to find, you need to take the water park exit off of the Briley Parkway, park at Two Rivers Park over by the skate park, and then take the path under the parkway. If you are walking please use caution as there are also lots of bike riders and according to reviews they are usually going through pretty quickly. There are great views of the river from the bridge, and you can continue on to the Shelby Bottoms Greenway. The nearby playground at Two River Park is great for the kids as well.